Are you interested in joining the umpire community? We would be happy to welcome you to the umpiring family! Rowing BC is committed to promoting the growth of the umpiring community, and will provide umpire training whenever there is a demand from interested persons. 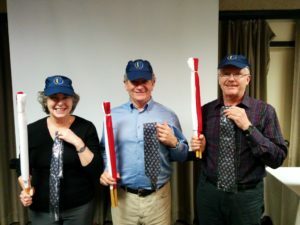 Umpiring in Canada is controlled by the Umpire Committee (UC) of Rowing Canada Aviron (RCA), who set the framework for umpiring across the country. The RCA UC is also responsible for the education of umpires. Anyone can become an umpire! There is no minimum age to take the Level 1 clinic and become an Assistant Umpire. To start your journey to becoming an RCA Umpire, check the events tab for upcoming workshops, or contact the Rowing BC Umpire Committee to express interest and set up a workshop. March 23, 2019. Register HERE. June 9, 2019. Register HERE.